Are You Smarter Than A 5th Grader? was delisted from Steam on February 23rd, 2015. 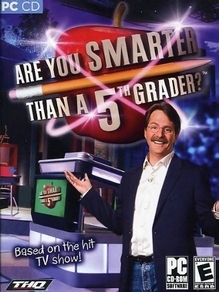 It was apparently delisted as the licensing rights changed hands to GameMill Entertainment who would publish Are You Smarter than a 5th Grader in September of 2015. It remains available on physical media for PC.